Eastdale Collegiate Institute is a small, inclusive high school with a focus on individual support and vocational skills for students in grades 9-12. Many of the students have special needs or learning exceptions, and Eastdale’s garden program is a valuable tool for life lessons and job training. Since the school is located in downtown Toronto, they have limited outdoor space for an in-ground garden, so instead they built a rooftop garden spanning 11,000 square feet. Students do most of the planting, and the garden is maintained with help from partner FoodShare, which also runs workshops and coordinates guest chef visits to the school. Eastdale received grants from a variety of funding sources to build the garden in 2011. The roof had previously been an athletic space, complete with a tennis court — an unusual setup that also is ideal for building a garden. The rooftop already was level and flat with a wall surrounding it for safety, had proper drainage, and was designed to handle plenty of weight. All of these features made it easy to transform into a rooftop garden with a container bed system, a hose irrigation system, and rubber matting in the walking areas. 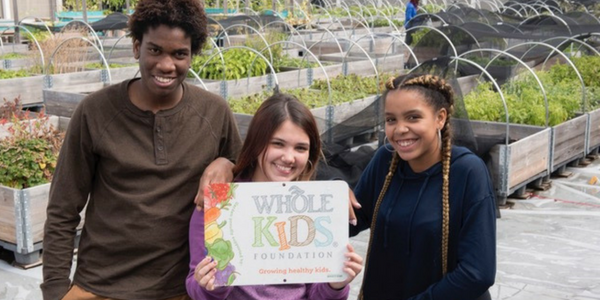 Throughout the school year, students work in the garden alongside FoodShare experts, and the garden provides jobs for a handful of students who are hired each summer to facilitate weeding and watering.